Brisbane’s Queensland Performing Arts Centre, better known at QPAC plays host to a wide range of cultural events, musicals, theatre, dance and comedy events throughout the year. There is always something on at QPAC making it an ideal reason to head to Brisbane and take in a show or two. 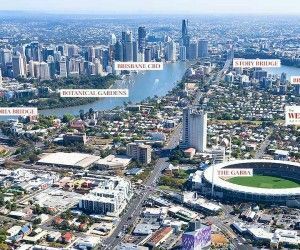 Here are a few well known musicals that are must see’s and a great reason to head to The Wellington Apartments in Kangaroo Point, Brisbane. Book your accommodation near QPAC Brisbane with us now and head to the QPAC website to secure your tickets for these fantastic upcoming performances. Coming to Brisbane in October 2016 for QPAC’s grand season of the hit musical Singin’ in the Rain. The Wellington Apartment Hotel and QPAC are just 10 minutes apart by road and 15 minutes by the beautiful Brisbane River Cat. 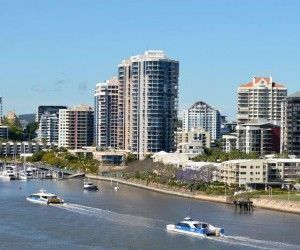 Why not stay at The Wellington Boutique Apartment Hotel in Kangaroo Point whilst in Brisbane for Singin’ in the Rain at QPAC, have dinner at our great restaurant, Boots, before the show, and take a leisurely ride to and from QPAC on the River Cat? What a great way to see this rave production of a great musical. The most popular stage musical of our time Andrew Lloyd Webber’s musical Cats returns to Brisbane on 29 January 2016 for a short season. If you are coming from out of town to see this fantastic production why not compliment your stay with accommodation at the Wellington Boutique Apartment Hotel in Kangaroo Point. The Wellington Boutique Apartment Hotel is just 10 minutes by road and 15 minutes by the beautiful Brisbane River Cat from QPAC where Cats will be staged in all its grandeur. After the show take the leisurely ride back to The Wellington on the River Cat whilst you reprise some of Cats greatest hits such as the never to be forgotten Memory, The Jellicles and Macavity. 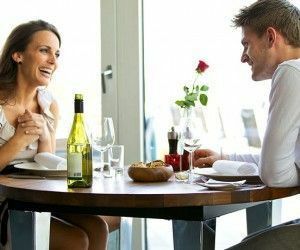 The team at the Wellington offer great rooms, Save up to $65 on parking with Free secure underground parking available, free Wi-Fi and a very warm welcome. They look forward to your visit and can assist with any arrangements you may require. QPAC and The Wellington just go together! Ring us today to book your accommodation near QPAC Brisbane and enjoy these great Brisbane events. Watch Brisbane ignite in all its glory from the best seat in town every year in September! Tucked away on the rivers edge underneath the Kangaroo Point Cliffs, Riverlife is the perfect place, away from the crowds, to enjoy Brisbane come to life under the stars. This exclusive annual event boasts unobstructed views from the rivers edge, with spectacular food, drinks and live entertainment and a guest DJ to make this the ultimate Riverfire experience.